Peter I (Serbian: Petar/Петар; 11 July [O.S. 29 June] 1844 – 16 August 1921) reigned as the last King of Serbia (1903–1918) and as the first King of the Serbs, Croats and Slovenes (1918–1921). Since he was the king of Serbia during a period of great Serbian military success, he was remembered by Serbian people as King Peter the Liberator, and also known as Old King. Peter was Karađorđe's grandson and third son of Persida Nenadović and Prince Alexander Karađorđević, who was forced to abdicate. Peter lived with his family in exile. He fought with the French Foreign Legion in the Franco-Prussian War. He joined as volunteer under the alias Peter Mrkonjić in the Herzegovina Uprising (1875–77) against the Ottoman Empire. He married Princess Zorka of Montenegro, daughter of King Nicholas, in 1883. She gave birth to his five children, including Prince Alexander. After the death of his father in 1885, Peter became head of the Karađorđević dynasty. After a military coup d'état and the murder of King Alexander I Obrenović in 1903, Peter became King of Serbia. As king, he advocated a constitutional setup for the country and was famous for his libertarian politics. King Peter was the supreme commander of the Serbian army in the Balkan wars. Because of his age, on 24 June 1914, he proclaimed his son, Alexander, heir-apparent to the throne, as regent. In the First World War he and his army retreated across Albania. Peter was born in Belgrade on 11 July [O.S. 29 June] 1844, the fifth of Prince Alexander Karađorđević and his consort Persida Nenadović's ten children. He was the grandson of Karađorđe, the leader of the First Serbian Uprising (1804–1813) and the founder of the Karađorđević dynasty. Peter was not born in the Royal Court, which was undergoing renovations at the time, but at the home of merchant Miša Anastasijević. His birth was not met with much celebration because he was his parents' third son and his older brother Svetozar was the heir to the throne. His parents' oldest son, Aleksa, had died three years prior to Peter's birth, aged five, at which point Svetozar became heir. Peter did not become heir until Svetozar's death in 1847 at the age of six. Besides Belgrade, Peter spent much of his childhood in the town of Topola, from where the Karađorđević dynasty originated. He received his elementary education in Belgrade. In 1858, just as the fourteen-year-old Peter was preparing to depart for Geneva to attend high school, his father was forced to abdicate the throne. The Karađorđević dynasty's rivals, the Obrenović dynasty, were reinstated, and an Obrenović prince, Mihailo, claimed the throne. The two dynasties had been vying for power since 1817, when Karađorđe was assassinated on the orders of Miloš Obrenović, the founder of the Obrenović dynasty. 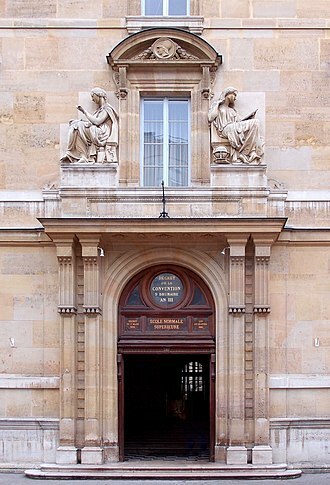 Peter left Geneva for Paris in 1861 and enrolled in the Collège Sainte-Barbe, located in the heart of the city's Latin Quarter. The following year, Peter enrolled in the Saint-Cyr, France's most prestigious military academy. He graduated from the academy in 1864, and continued living in Paris for some time thereafter. 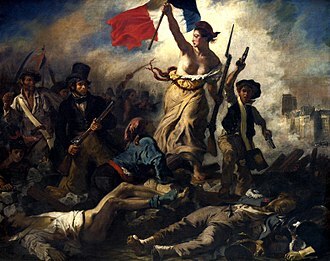 During this period, he pursued interests such as photography and painting, and read works of political philosophy, learning about liberalism, parliamentarism and democracy. In 1866, he entered the Higher Military School in Metz, which he attended until the following year. Two years later, his Serbian-language translation of John Stuart Mill's On Liberty was published. At the outbreak of the 1870–71 Franco-Prussian War, Peter joined the French Foreign Legion under the pseudonym Petar Kara, together with relative Nikola Nikolajević. During his service, Peter held the rank of either lieutenant or second lieutenant, depending on the source, and fought with the 1st Foreign Regiment. He participated in the Second Battle of Orléans on 3–4 December 1870, as well as the Battle of Villersexel on 9 January 1871. He was awarded the Legion of Honour for his conduct during the two battles, but was captured by the Prussians shortly thereafter. He managed to escape captivity and returned to the front. Peter was involved in the Paris Commune in the spring of 1871, together with close friend and relative Vladimir Ljotić, though the exact nature of his involvement remains unknown. 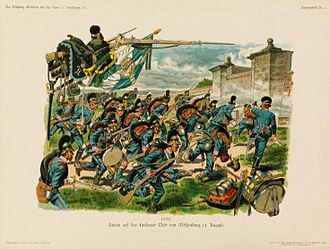 With the outbreak of the Great Eastern Crisis of 1875–78, which erupted after Bosnian Serb rebels in Nevesinje staged a revolt against the Ottoman Empire, Peter returned to the Balkans and fought the Ottomans in northwestern Bosnia. He adopted the nom de guerre of Petar Mrkonjić, and upon reaching the regions of Banija and Kordun in Austria-Hungary, took control of guerilla unit of about 200 men. He arrived Bosanska Dubica in August 1875, but received a cold welcome. He discovered that Prince Milan of Serbia was plotting to assassinate him fearing that Peter would attempt to wrest back the throne from the Obrenović dynasty. 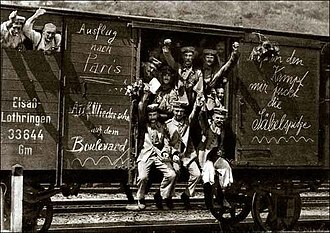 This revelation, combined with a string of battlefield defeats, compelled Peter and his followers to leave Bosnia and withdraw to Austria-Hungary. They were subsequently detained by the Austro-Hungarian Army in the village of Bojna, near Glina. Peter escaped, returned to Bosnia and organized another band of rebels. Once again, his involvement in the fighting aroused suspicion in Belgrade, and by May 1876, his presence proved divisive. The rebels split into three separate camps: one that supported Peter, another that supported Milan and a third that advocated Austro-Hungarian arbitration. Not wishing to cause further divisions among the rebels, Peter agreed to leave Bosnia. Prior to his departure, he wrote a letter to Milan explaining why he was leaving the battlefield and offering to make peace with the Obrenović dynasty. Despite his attempts to make peace with Milan, accusations of treason continued to be levelled against Peter. He decided to travel to Kragujevac, the seat of the Royal Serbian Government, and address the National Assembly in an attempt to clear his name. In 1877, an anti-government uprising erupted in the Toplica region of southern Serbia, for which Milan blamed Peter and Karađorđević sympathizers. Peter was accused of treachery and collaboration with the Ottomans. In the summer of 1878, he illegally crossed the border between Serbia and Austria-Hungary at Golubac via the Danube. 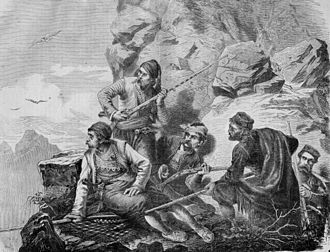 Peter and his guide became lost in the Homolje mountains and were forced to hide from the authorities in the wilderness. Peter returned to Austria-Hungary shortly thereafter, but was arrested by the Austro-Hungarian police and interned at the Karađorđević family home in Bokszeg. In 1878, he was allowed to leave Bokszeg. He first went to Budapest and then to Paris. During this period, he was closely monitored by Austro-Hungarian spies, who took note of all his movements. In January 1879, court proceedings were initiated against Peter and his closest companions in Smederevo. The plaintiff, Prince Milan, alleged that Peter and his followers had attempted to overthrow the Obrenović dynasty and place a Karađorđević on the throne. Peter and his companions were charged with high treason, for which the mandatory penalty was death. As he was living in Paris at the time of the proceedings, Peter was convicted in absentia and sentenced to death by hanging. 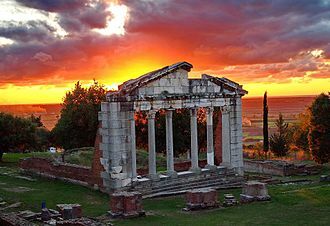 In 1883, Peter moved to Cetinje, the capital of the second independent Serb state, Montenegro, with the intention of marrying the eldest daughter of Montenegro's ruler, Prince Nicholas. Peter and Ljubica Petrović-Njegoš were married in Cetinje in the summer of 1883. The marriage upset the region's volatile geopolitical balance, causing great unease in the Austro-Hungarian, Russian and Serbian capitals. Belgrade perceived it as a sign of increasing closeness between the Petrović-Njegoš and Karađorđević dynasties. Relations between the two Serb states worsened, as did relations between Austria-Hungary and Russia, which had been vying for power in the Balkans for decades. When his father died in the spring of 1885, Peter became the head of the House of Karađorđević and took the title of prince. Serbia, previously a principality, was declared a kingdom in 1882, and henceforth, the Serbian monarch used the title King of Serbia. Ljubica died during childbirth in March 1890. The couple had five children, three of whom reached adulthood: Helen (Jelena), Milena, George (Đorđe), Alexander (Aleksandar), and Andrew (Andrej). Milena died in infancy and Andrew died along with his mother during childbirth. Following his father's death, Peter's financial situation deteriorated and he became dependent on his father-in-law, as well as Russia and his brother George, for support. Following the Royal Serbian Army's rout in the Serbo-Bulgarian War of 1885, Peter and Nicholas devised a plan to invade Serbia and overthrow the Obrenović dynasty. At the last minute, Nicholas abandoned the idea. Peter felt betrayed by the Prince's decision to back out, leading to long lasting animosity. Nevertheless, he remained in Cetinje until 1894, devoting himself to his surviving children, who finished their primary education there. 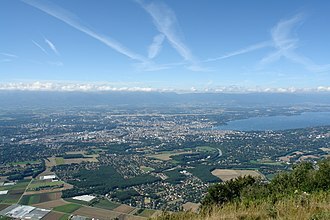 In 1894, Peter moved to Geneva with his three children, where he was to remain until 1903. In 1899, Tsar Nicholas II invited Prince George and Prince Alexander, as well as Peter's nephew Paul, to attend the Corps des Pages military academy in Saint Petersburg free of charge. Due to his poor financial standing, which prevented him from sending the boys to private schools in Switzerland, Peter accepted the Tsar's offer. In July 1900, King Alexander, Milan's 23-year-old son, married Draga Mašin, a widowed lady-in-waiting twelve years his senior with a reputation for promiscuity. Mašin was also believed to be infertile, raising questions as to the viability of the Obrenović line. The marriage sparked outrage among the officer corps and led to a plot to remove Alexander from the throne. The officers, led by Dragutin Dimitrijević ("Apis"), initially sought to expel Alexander and Draga but realized that doing so would precipitate a conflict between the pro-Karađorđević and pro-Obrenović camps within the country. By the autumn of 1901, the conspirators resolved to kill the King and Queen, thereby averting a possible civil war. Some officers proposed placing an English or German prince on the throne. Another suggested Prince Mirko, the second son of Nicholas of Montenegro, and others advocated forming a republic. Political conditions in Europe were such that the proclamation of a republic would only have increased the ire of the Great Powers towards Serbia in case Alexander was overthrown, giving Austria-Hungary a pretext to invade. 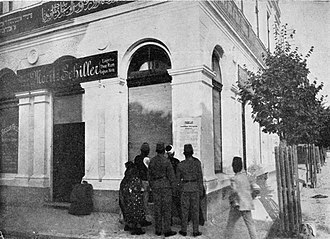 Preparations for the coup took place between 1901 and 1903. The conspirators decided to place Peter on the throne in November 1901, but Peter had little trust in them and their initial offers were rebuffed. He accepted their offers on the condition that officers he trusted would take part in the plot and insisted that he would not take any part himself. He also told the officers that he would agree to take the throne only if his ascent was approved by the National Assembly. At the time of the coup, Peter was vacationing with his children and planning visits to Russia and Romania, suggesting that he was not aware of what was to occur. The officers raided the royal palace late in the evening of 10 June [O.S. 29 May] 1903 and shot the King and Queen, mutilating their corpses with sabres and tossing them from a third-floor balcony. The murders resulted in the extinction of the Obrenović line and resolved the century-long feud between the Karađorđević and Obrenović dynasties. 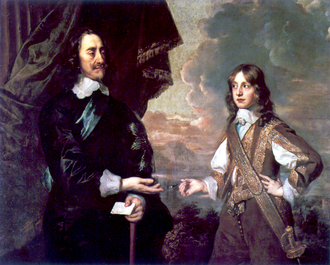 Peter expressed satisfaction with the outcome of the plot, as well as regret for the bloodshed that had occurred, describing it as "neither gentlemanly, nor worthy of the 20th century". On 15 June [O.S. 2 June] 1903, by decision of the National Assembly, Peter was summoned to assume the Serbian throne. He arrived in Belgrade on 26 June [O.S. 13 June] 1903. Peter's ascent to the throne was met with great enthusiasm by South Slav nationalists, who believed he would succeed in uniting the South Slavs living in Serbia, Montenegro, Austria-Hungary and the Ottoman Empire. In Vienna, en route to Belgrade, he was welcomed by a crowd of euphoric Serb and Croat students, who hailed him as "the first Yugoslav king". The royal couple's murder upset and shocked most of Europe, but was met enthusiastically at home. Russia immediately recognized the National Assembly's decision declaring Peter the next King of Serbia and expressed satisfaction that the inter-dynastic intrigues which had plagued the country since the early 19th century had been brought to an end. Austria-Hungary declared its neutrality on the matter, but privately, policymakers in Vienna expressed hope that Peter's accession would have a placating effect. The United Kingdom demanded that the chief conspirators be severely punished, and when the Royal Serbian Government neglected to carry out this request, the British severed all diplomatic ties. Several other European nations followed in the United Kingdom's footsteps and severed ties as well. Peter lacked the power or authority to punish the conspirators. He also felt a deep sense of obligation towards them, acknowledging that he would not have been able to assume the throne were it not for their actions. Peter was crowned in St. Michael's Cathedral in Belgrade, on 21 September [O.S. 8 September] 1904. The coronation ceremony, the first in Serbia's modern history, was intended to demonstrate that a new era had begun. The year-long interval between Peter's return to Serbia and his coronation was done deliberately, so that the ceremony would coincide with the 100th anniversary of the First Serbian Uprising and to give European statesmen time to come to terms with the palace coup. Nevertheless, only representatives of Montenegro and Bulgaria were in attendance. New regalia, consisting of a crown, sceptre, orb and royal mantle, was commissioned specially for the occasion and made by the Parisian jewelers Falize Frères. King Peter's procession and a parade following the coronation were filmed by Arnold Muir Wilson, the honorary Serbian consul in Sheffield, and his cameraman, Frank Mottershaw. This is believed to the oldest surviving film recorded in Serbia. According to film historian Paul Smith, it is also likely the first newsreel in history. During his reign the Kingdom of Serbia expanded to the south, including Sandžak and Kosovo and Metohija. Serbia temporarily controlled northern parts of Albania, but had give away those parts to the newly created Albania. In November 1918, shortly before creating the Kingdom of Serbs, Croats and Slovenes, Serbia was joined by some new territories like Srem, Banat, Bačka and Montenegro and as such was later included in the new kingdom. The most prominent minister of foreign affairs during his reign was Nikola Pašić. At the beginning of Peter's reign he opposed the new king, calling his ascension to the throne unlawful. However, he quickly changed his mind after seeing that the Serbian people accepted King Peter. As it turns out, the only conflict he had with Peter during his 18-year reign was the king's salary. The war began in October 1912 and ended in May 1913. It comprised actions of the Balkan League (Bulgaria, Serbia, Greece and Montenegro) against the Ottoman Empire. 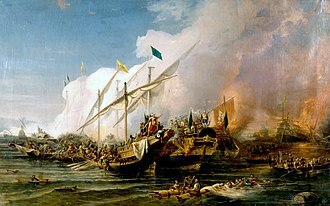 The combined armies of the Balkan states overcame the numerically inferior and strategically disadvantaged Ottoman armies and achieved rapid success. As a result of the war, the allies captured and partitioned almost all remaining European territories of the Ottoman Empire. 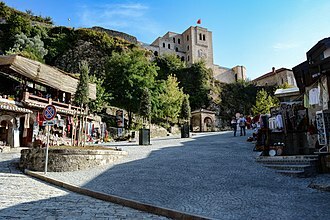 In May 1912, the Albanian Hamidian revolutionaries, who wanted to reinstall Sultan Abdul Hamit II to power, drove the Young Turkish forces out of Skopje and pressed south towards Manastir (present day Bitola), forcing the Young Turks to grant effective autonomy over large regions in June 1912. 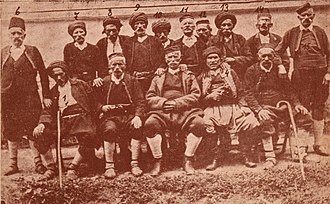 Serbia, which had helped arm the Albanian Catholic and Hamidian rebels and sent secret agents to some of the prominent leaders, took the revolt as a pretext for war. Serbia, Montenegro, Greece, and Bulgaria had all been in talks about possible offensives against the Ottoman Empire before the Albanian revolt of 1912 broke out; a formal agreement between Serbia and Montenegro had been signed on 7 March. "The Turkish governments showed no interest in their duties towards their citizens and turned a deaf ear to all complaints and suggestions. Things got so far out of hand that no one was satisfied with the situation in Turkey in Europe. It became unbearable for the Serbs, the Greeks and for the Albanians, too. By the grace of God, I have therefore ordered my brave army to join in the Holy War to free our brethren and to ensure a better future. In Old Serbia, my army will meet not only upon Christian Serbs, but also upon Muslim Serbs, who are equally dear to us, and in addition to them, upon Christian and Muslim Albanians with whom our people have shared joy and sorrow for thirteen centuries now. To all of them we bring freedom, brotherhood and equality." In a search for allies, Serbia was ready to negotiate a contract with Bulgaria. The agreement provided that, in the event of victory against the Ottomans, Bulgaria would receive all of Macedonia south of the Kriva Palanka-Ohrid line. Serbia's expansion was accepted by Bulgaria as being to the north of the Shar Mountains (i.e., Kosovo). The intervening area was agreed to be "disputed"; it would be arbitrated by the Tsar of Russia in the event of a successful war against the Ottoman Empire. 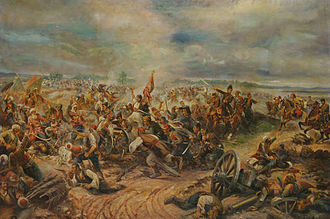 During the course of the war, it became apparent that the Albanians did not consider Serbia as a liberator, as suggested by King Peter I, nor did the Serbian forces observe his declaration of amity toward Albanians. The Serbian army was led by Peter I alongside marshals like Radomir Putnik, Stepan Stepanović, Božidar Janković and Petar Bojović. Serbia sent 230,000 soldiers (out of the population of just 2,912,000 people) with about 228 guns, grouped in 10 infantry divisions. 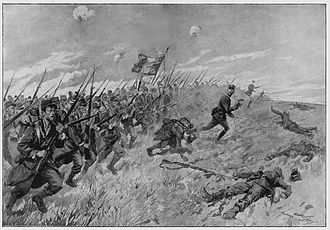 As Bulgaria was dissatisfied with its share of the spoils of the First Balkan War, it attacked its former allies, Serbia and Greece, and started the Second Balkan War on 16 (O.S. )/29 June 1913. Serbian and Greek armies repulsed the Bulgarian offensive and counter-attacked, entering Bulgaria. With Bulgaria also having engaged in territorial disputes with Romania, this war provoked Romanian intervention against Bulgaria. The Ottoman Empire took advantage of the situation to regain some lost territories from the previous war. When Romanian troops approached the capital Sofia, Bulgaria asked for an armistice, resulting in the Treaty of Bucharest, in which Bulgaria had to cede portions of its First Balkan War gains to Serbia, Greece and Romania. The Second Balkan War left Serbia as the most militarily powerful state south of the Danube. Years of military investment financed by French loans had borne fruit. Central Vardar and the eastern half of the Sanjak of Novi Pazar were acquired. Its territory grew in extent from 18,650 to 33,891 square miles and its population grew by more than one and a half million. Because of his constant and heavy efforts in the Balkan Wars, Peter's health worsened. At the same time, The Black Hand represented a core of military opposition to the civil assembly. Acting from within the government and the military, members of The Black Hand forced Peter to disband the government of Nikola Pašić, even though the Radical Party held most of the seats in the National Assembly. Only just after Russian intervention and with the help of the French capital, the crisis was solved in Pašić's favor. King Peter had to withdraw, allegedly because of his failing health, and, on 24 June 1914, he passed his royal powers to his heir, Alexander I Karađorđević. The Western-educated King attempted to liberalize Serbia with the goal of creating a Western-style constitutional monarchy. King Peter I became gradually very popular for his commitment to parliamentary democracy that, in spite of certain influence of military cliques in political life, functioned properly. The 1903 Constitution was a revised version of the 1888 Constitution, based on the Belgian Constitution of 1831, considered as one of the most liberal in Europe. The governments were chosen from the parliamentary majority, mostly from People's Radical Party led by Nikola Pašić and Independent Radical Party led by Ljubomir Stojanović. 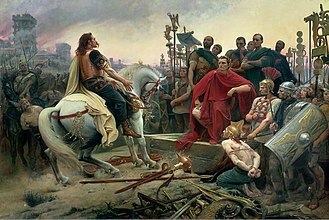 King Peter himself was in favor of a broader coalition government that would boost Serbian democracy and help pursue an independent course in foreign policy. In contrast to the Austrophile Obrenović dynasty, King Peter I was relying on Russia and France, which provoked rising hostility from expansionist-minded Austria-Hungary. King Peter I of Serbia paid two solemn visits to Saint-Petersburg and Paris in 1910 and 1911 respectively, greeted as a hero of both democracy and national independence in the troublesome Balkans. The reign of Peter I, from 1903 to 1914, is remembered as the "Golden Age of Serbia", due to the unrestricted political freedoms, free press, and cultural ascendancy among South Slavs who finally saw in democratic Serbia a Piedmont of South Slavs. King Peter I was supportive to the movement of Yugoslav unification, hosting in Belgrade various cultural gatherings. Grand School of Belgrade was upgraded into Belgrade University in 1905, with scholars of international renown such as Jovan Cvijić, Mihailo Petrović, Slobodan Jovanović, Jovan M. Žujović, Bogdan Popović, Jovan Skerlić, Sima Lozanić, Branislav Petronijević and several others. King Peter I gained enormous popularity following the Balkan Wars in 1912 and 1913, which, from a Serb and South Slav perspective, were a great success, heralded by the spectacular military victories over the Ottomans, followed by the liberation of "Old Serbia" (Kosovo Vilayet) and mostly Slavic-inhabited Macedonia (Manastir Vilayet). The territory of Serbia was doubled and her prestige among South Slavs (Croats and Slovenes in particular, and among the Serbs in Austria-Hungary, in Bosnia-Herzegovina, Vojvodina, Military Frontier, Dalmatia, Slavonia, etc.) grew significantly, with Peter I as the main symbol of this both political and cultural success. After the conflict between military and civilian representatives in the spring of 1914, King Peter chose to "retire" due to ill health, reassigning on 11/24 June 1914 his royal prerogatives to his second son Heir apparent Crown Prince Alexander. The King, spending most of his time in various Serbian spas, remained relatively inactive during the First World War, although occasionally, when the military situation became critical, he visited trenches on the front-line to check up on morale of his troops. His visit to the firing line prior to the Battle of Kolubara in late 1914 boosted morale of the retreating Serbian forces and announced a counter-offensive and sparkling victory against numerically superior Austro-Hungarian forces. Another memorable visit in 1915 involved King Peter, by then 71, picking up a rifle and shooting at enemy soldiers. Following the invasion of Serbia by the joint forces of Germany, Austro-Hungary and Bulgaria in October 1915, King Peter I led the army and tens of thousands of civilian refugees through the high mountains of Albania to the Adriatic sea on a 'Calvary known to few peoples'. After the dramatic retreat in harsh winter through hostile environment of Albanian highlands from Prizren to the Albanian littoral, that took more than 100,000 lives, the King and his army, exhausted by cold and famine, were eventually transported by the Allies, mostly French ships to Corfu in early 1916. For the rest of World War I King Peter I, already of very poor health, remained on the Greek isle of Corfu, which became the seat of the Serbian government in exile until December 1918. On 1 December 1918, King Peter I was proclaimed King of the Serbs, Croats and Slovenes. King Peter stayed abroad until July 1919 and returned to Belgrade where he died in 1921 at the age of 77. He was solemnly buried in his endowment in Oplenac, the Church of Saint George in the vicinity of Topola in Central Serbia, where his grandfather Karageorge, the founder of the dynasty, launched a large-scale insurrection against the Ottomans in 1804. Three cities in interwar Yugoslavia were named after King Peter I: Mrkonjić grad in Bosnia-Herzegovina (former Varcar Vakuf), Petrovgrad in Vojvodina (Veliki Bečkerek, now Zrenjanin) and Petrovac na Moru (former Kaštel Lastva) in Montenegro. Dozens of monuments erected in his honor throughout Yugoslavia were destroyed after the communist takeover in 1945. Only one monument, in Zrenjanin (former Petrovgrad) was recently restored, as well as several smaller monuments in Belgrade and the rest of Serbia. The other monuments in honor to King Peter I were restored or erected in Republika Srpska, in Bosnia-Herzegovina where his cult status as a national hero is as strong as in Serbia. In Paris, an avenue off the Champs-Élysées is named after him, Avenue Pierre Ier de Serbie. There is a modest monument dedicated to King Petar I of Serbia in Orléans, France, when he fought as a volunteer in the French army. A large monument to King Peter and his son Alexander I of Yugoslavia was unveiled in 1936, at the Porte de la Muette in Paris. ^ a b c Bjelajac 1997, p. 95. ^ Judah 2000, p. 83. ^ Bjelajac 1997, p. 95, note 2. ^ a b c d e f Bjelajac 1997, p. 96. ^ Shrader 2014, p. 1244. ^ a b Lepage 2008, p. 57. ^ a b Bjelajac 1997, p. 97. ^ a b c d Bjelajac 1997, p. 98. ^ a b c Bjelajac 1997, p. 99. ^ Dedijer 1966, pp. 381–382. ^ Mackenzie 1989, pp. 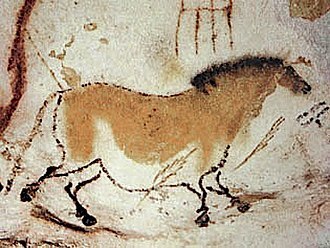 31–34. ^ a b Mackenzie 1989, p. 48. ^ Mackenzie 1989, pp. 46–47. ^ a b Bjelajac 1997, p. 100. ^ a b c Pavlowitch 2002, p. 79. ^ a b Mackenzie 1989, pp. 50–51. ^ a b Bataković 2002, pp. 351–352. ^ "The Regalia". The Royal Family of Serbia. Retrieved 18 November 2016. ^ Norris 2008, p. 110. ^ Smith 1976, p. 101. ^ Norris 2008, p. 87. ^ R. Wolfson "Years of Change. European History 1890–1945"
Bjelajac, Mile (1997). "King Petar I Karađorđević". In Radan, Peter; Pavković, Aleksandar. The Serbs and Their Leaders in the Twentieth Century. Farnham, England: Ashgate. ISBN 978-1-8552-189-1-8. Lampe, John R. (2000) . Yugoslavia as History: Twice There Was a Country (2nd ed.). Cambridge: Cambridge University Press. ISBN 978-0-521-77401-7. Makuljević, Nenad (2012). "Public Monuments, Memorial Churches and the Creation of Serbian National Identity in the 19th Century". In Zimmermann, Tanja. Balkan Memories: Media Constructions of National and Transnational History. Bielefeld, Germany: transcript Verlag. ISBN 978-3-83941-712-6. Shrader, Charles R. (2014). "Peter I Karageorgević, King of Serbia". In Tucker, Spencer C. World War I: The Definitive Encyclopedia and Document Collection. Santa Barbara, California: ABC-CLIO. ISBN 978-1-85109-965-8. Živojinović, Dragoljub R. (1988–1992). Kralj Petar I Karađorđević [King Peter I Karađorđević] (in Serbian). 1–3. Belgrade, Yugoslavia: BIGZ. ISBN 978-8-61300-324-3. Wikimedia Commons has media related to Peter I of Serbia. This act resulted in the extinction of the House of Obrenović which had been ruling Serbia since the middle of the 19th century. The assassination of the couple was organized by a group of army officers led by then-Captain Dragutin Dimitrijević Apis. After the May Overthrow, the Serbian throne passed to the rival House of Karađorđević, both dynasties were receiving financial support from their powerful foreign sponsors. Along with the couple, the conspirators killed the Prime Minister Dimitrije Cincar-Marković. 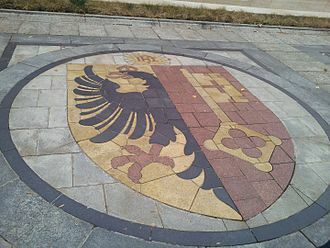 These, in turn, were sponsored by the rival Austro-Hungarian and Russian empires, the Obrenović family was mostly pro-Austrian while their hereditary enemies, the Karađordević family, were mostly pro-Russian. Each dynasty was financially aided by their powerful foreign sponsors, after the assassination of Prince Mihailo Obrenović on 29 May 1868, his cousin, Milan Obrenović, became the newly elected Serbian prince. Milan was married to Natalie Keshko, a Moldavian boyars daughter and he was an autocratic ruler and very unpopular among the people. During his rule, Serbia reemerged as an independent country and gained territory at the 1878 Congress of Berlin, since Russia gave its support to Bulgaria at the Treaty of San Stefano, King Milan relied on Austria-Hungary as his ally. He proclaimed himself King in 1882 and his military defeat in the war against Bulgaria and the Timok Rebellion, led by elements of the Peoples Radical Party, were serious blows to his popularity. The situation was not any better in his private life, after ten years of marriage, quarrels between the King and the Queen were fiercer and more frequent. King Milan was not a husband and Queen Natalija was greatly influenced by Russia. In 1886, the couple, mismatched both personally and politically, Queen Natalija withdrew from the kingdom, taking with her the ten-year-old Prince Alexander. While she was residing in Wiesbaden in 1888, King Milan was successful in recovering the Crown Prince, as a reply to the Queens remonstrances, Milan exerted considerable pressure upon the metropolitan and obtained a divorce which was declared illegal. Jelena Karađorđević or Princess Helen of Serbia was the daughter of King Peter I of Yugoslavia and his wife Princess Zorka of Montenegro. She was the sister of George, Crown Prince of Serbia. The strong-minded, purposeful Helen, whose mother died when she was a child, was born in Cetinje, Montenegro. She was educated in Russia at the Smolny Institute, a school in St. Petersburg for well-born girls. She was a very sweet-faced though plain girl, with dark eyes, very quiet and amiable in manner, wrote Margaretta Eagar. Eagar wrote that Helen, often came to tea with another of her aunts, Princess Vera of Montenegro. Young Grand Duchess Olga Nikolaevna of Russia was very fond of her, a fourth aunt, Elena of Montenegro, Queen of Italy, invited her for a visit and introduced her to Prince John Constantinovich of Russia. It was a match, a surprise to the family because the gentle. How funny if they might have children, can they be kissing him, the couple married on 21 August 1911, in St. Petersburg, Russia. Helen studied medicine at the University of St. Petersburg following their marriage, the couple had two children, Prince Vsevelod Ivanovich of Russia, and Princess Catherine Ivanovna of Russia. Helen voluntarily followed her husband into exile when he was arrested following the Russian Revolution of 1917 and they were herded into the forest by the local Bolsheviks, pushed into an abandoned mineshaft and grenades were hurled into the mineshaft. John had persuaded Helen to leave Alapaevsk and go back to their two children, whom she had left with Johns mother, Grand Duchess Elizabeth Mavrikievna of Russia. In June 1918, Helen visited the Ipatiev House and demanded to see the tsar, after being refused entry by the guards, she went to the Amerikanskaya Hotel half a mile away, making repeated enquiries to the Cheka. She was however arrested by the police and imprisoned herself in Perm. The following month, in July 1918, her husband John, Helen said she didnt recognize the girl and the guards took her away. George, Crown Prince of Serbia was the eldest son of King Peter I of the Serbs and Slovenes and Queen Ljubica of Montenegro. He was the brother of King Alexander I of Yugoslavia. In 1909, George inadvertently caused the death of his servant and he served with distinction in the army, was severely wounded during the First World War, and thereby became popular in the country, which aroused the alarm of his younger brother. In 1925, his brother the King had him arrested, declared insane and he remained confined there for nearly two decades, until released by the German occupying force during World War II. After that war ended, he was the member of the royal family not to be sent into exile. He married in 1947, aged 60, and although he had no children, his last years were relatively happy, George was born a member of the House of Karađorđević. After being deposed in 1858, Georges grandfather and his family had had to leave their homeland, Georges father, Petar Karađorđević, had made an advantageous marriage rather late in life with Ljubica, the eldest daughter of King Nicholas I of Montenegro. After marrying the princess, he made his home in the Principality of Montenegro, George was born in Cetinje and spent the first few years of his life in the court of his maternal grandfather. He was one of five siblings, two of whom died in infancy, he grew up with one older sister, Helen. In March 1890, when George was hardly two years old, his mother died in childbirth, shortly afterwards, Petar moved his three motherless children first to Geneva and to Russia. In Russia, George studied at the Page Corps school of Tsar Alexander II, as a result, George became Crown Prince. Prince George participated in the Balkan wars as well as World War I, after his fathers death and brother Alexandars subsequent coronation, hostilities between the two brothers arose, which led to Prince Georges arrest in 1925. He was proclaimed to be insane and locked in an asylum near the city of Niš. Following Alexanders assassination in 1934, George hoped he would be freed by the new regent Prince Paul, after the war the royal Karađorđević family was declared enemy-of-the-state by Josip Broz Titos communist regime. Alexander I or Aleksandar Obrenović was king of Serbia from 1889 to 1903 when he and his wife, Queen Draga, were assassinated by a group of Army officers, led by Captain Dragutin Dimitrijević. Alexander was born on 14 August 1876 to King Milan and Queen Natalie of Serbia and he belonged to the Obrenović dynasty. In 1889, King Milan unexpectedly abdicated and withdrew to private life, in 1893, King Alexander, aged sixteen, arbitrarily proclaimed himself of full age, dismissed the regents and their government, and took the royal authority into his own hands. His action won popular support, as did his appointment of a radical ministry, in May 1894 King Alexander arbitrarily abolished King Milans liberal constitution of 1888 and restored the conservative one of 1869. His attitude during the Greco-Turkish War was one of strict neutrality, in 1894 the young King brought his father, back to Serbia and, in 1898, appointed him commander-in-chief of the Serbian army. During that time, Milan was regarded as the de facto ruler of the country, in the summer of 1900, King Alexander suddenly announced his engagement to the widowed Madame Draga Mašin, formerly a lady-in-waiting to his mother and 12 years older than him. The proposed union aroused great opposition, not only was Draga of unequal birth and obscure family, but at 36 years of age, Alexander was an only child, and it was imperative to secure the succession. Vladan Đorđević, who was visiting the Paris Universal Exhibition at the time of the announcement, both immediately resigned from their respective offices and Alexander had difficulty in forming a new cabinet. Alexanders mother opposed the marriage and was banished from the kingdom. She was known to have seen in the nearby countries, such as Austria-Hungary. The marriage duly took place in August 1900, even so, the unpopularity of the union weakened the Kings position in the eyes of the army and of the country at large. Meanwhile, the independence of the senate and of the council of state caused increasing irritation to King Alexander, in March 1903 the King suspended the constitution for half an hour, time enough to publish the decrees dismissing and replacing the old senators and councillors of state. Young Alexander with his father King Milan in 1888 less than a year before Milan abdicated the throne in favour of his underage son. Summer residence of King Alexander in Smederevo. Tomb of King Peter I of Serbia. Mosaics in St George's Church. Prince Peter used surname Mrkonjić during uprising. 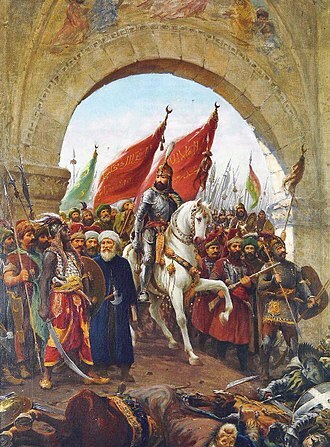 Hadži Mustafa Pasha murdered by the Dahije. Prince Mihailo speaks to the Society of Serbian Scholarship members at the first meeting on 8 June 1842. The statue of Prince Mihailo on Republic Square in Belgrade. Prince Mihailo's summer residence in Aranđelovac.